Carolyn and Joshua are thrilled to be pregnant with their first child together. Carolyn was just a teenager when she had her son, Benjamin, and she still feels solely responsible to secure his future. As Joshua watches Carolyn struggle to accept his support, he knows he has to find some way to convince her that she--and Ben--will always be taken care of. 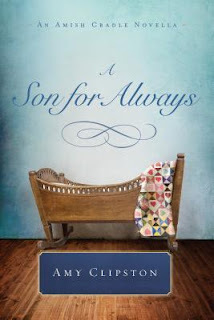 What a delight to pick up Amy Clipston’s novella, A Son for Always, and discover that it continued the story of Carolyn and Joshua from a novel in the Hearts of the Lancaster Grand Hotel series! A Mother’s Secret will always be special because it was the first of Amy’s books that I read, and also because it deals with the very humanness of the Amish. In A Son for Always, Carolyn and Joshua are very happily married and expecting their first child, but Carolyn can’t quite let go of past guilt in giving birth to a son out of wedlock as a teenager. Her insecurities seemed so real and I could easily imagine having the same doubts if I was in her place. 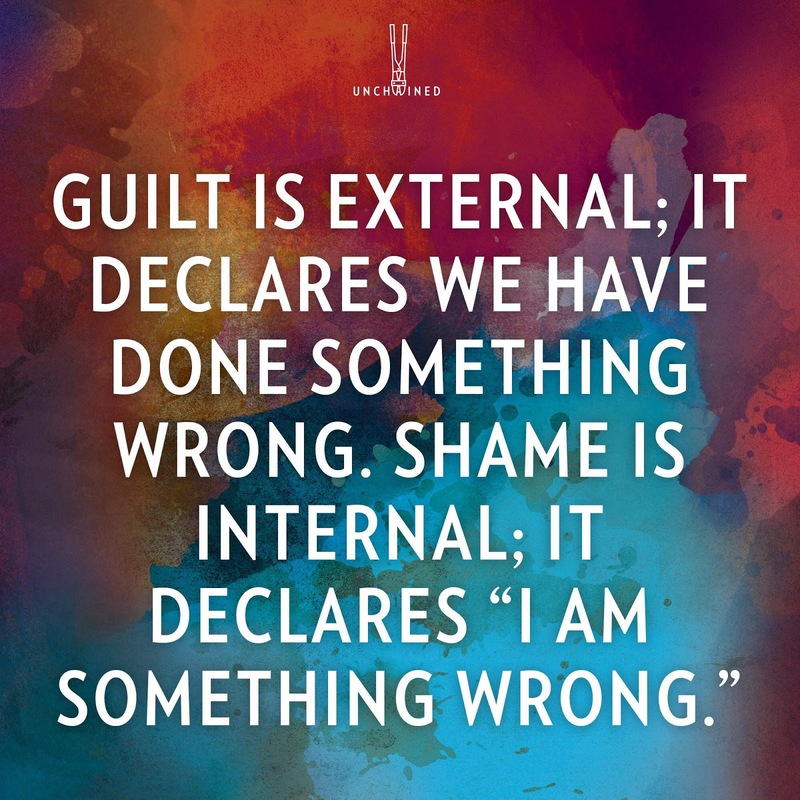 Joshua’s reflection of the unconditional love of Christ is at the center of this story and I loved how he has come to regard Benjamin as his own son. Forgiveness of self and trust in God’s perfect plan are key for Carolyn. A Son for Always reflects Amy’s heart for and understanding of family. It’s easy to read, but contains an emotional depth that I always find in her writing. The Amish Cradle collection also contains stories by Vannetta Chapman, Kathleen Fuller, and Beth Wiseman, all authors that I enjoy. Please click on the title, A Mother's Secret, to see my review. 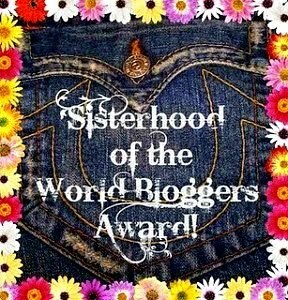 I won An Amish Cradle in a blog contest. 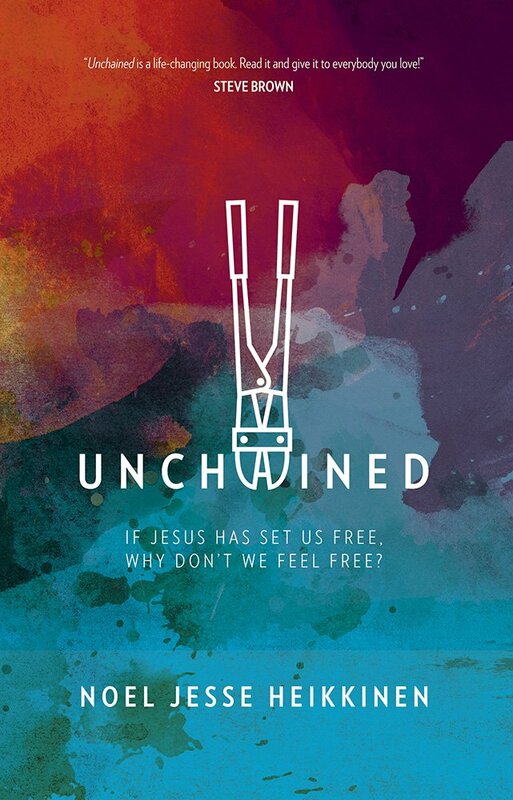 Before reading Unchained, I thought I had a pretty good grasp of what freedom in Christ meant, but I don’t believe I had a clue. 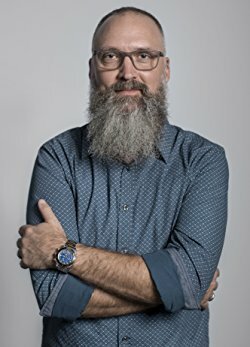 This is a book that everyone should read because you’ll find it quite eye opening – and freeing! As a word of advice, have plenty of highlighters on hand. It was hard to read for review purposes, for I kept wanting to go back and reread sections, letting everything sink in more fully. Noel Jesse Heikkinen comes across exactly like he must be in person – passionate about his subject, extremely knowledgeable, honest, and not afraid to laugh at himself. I was impressed by the amount of Scripture he references, as well as the thorough and logical flow of his easily readable narrative. 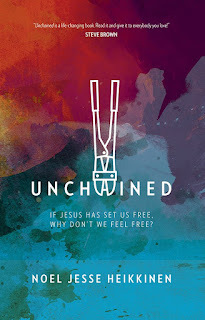 I’m glad for the opportunity to review Unchained and am ready to work through it at my own pace. 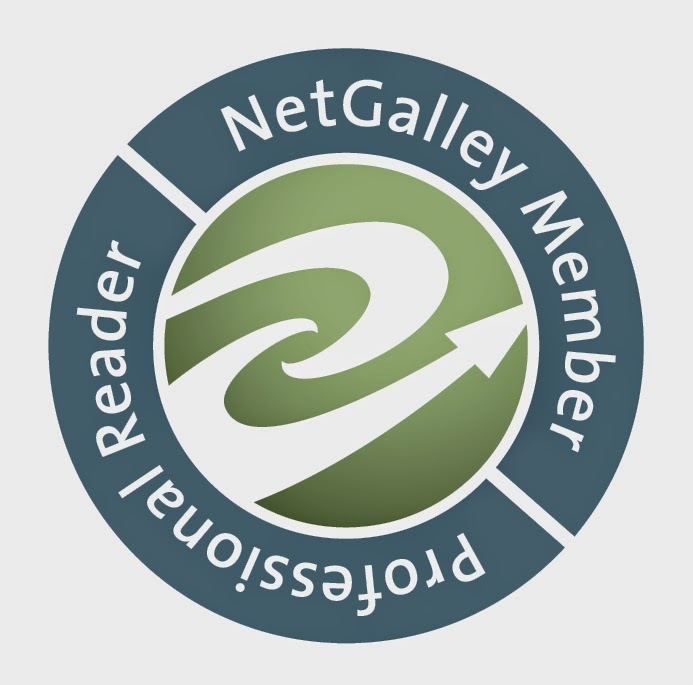 Avid readers of Christian fiction can testify to the power of story - how they have been touched and even changed through a work of fiction – and that is vividly reflected in the devotional 21 Days of Grace. What a creative idea to assemble a collection of short stories or excerpts from books in a devotional format! Compiler and editor Kathy Ide has included works by familiar authors, as well as several who were new to me. Each story is meaningful and concludes with a life application section, making it perfect for personal reflection and meditation. The only thing I would have liked is more reference to Scripture (some have it, but not all). 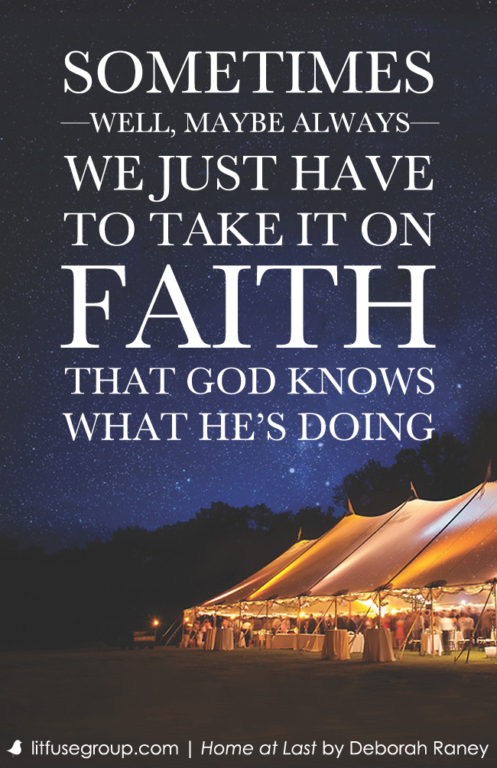 I’m a person who is much more comfortable ministering to others than being on the receiving end, so Prairie Lessons by Deborah Raney really spoke to me. Kathy Ide’s Rag Doll beautifully conveys God’s boundless grace and forgiveness. 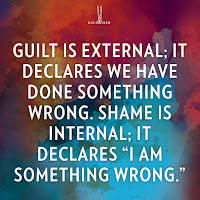 I saw myself in Be Grateful in All Things by Diane Simmons Dill – quick to worry instead of being grateful and trusting in the God who always provides. I loved Cecil Murphy’s quirky We Called Him Happy Face because it reminded me of how others can be drawn to Christ through our simple kindness and the genuine happiness in our countenance. And True Confession by Angela Elwell Hunt really packs a punch with its focus on a character who struggles to feel God’s forgiveness. 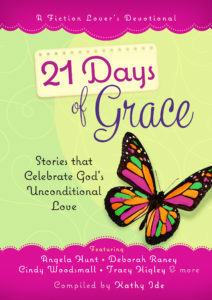 I truly enjoyed 21 Days of Grace and don’t hesitate to recommend it for devotional use. It would also be great gift for new believers or seekers. 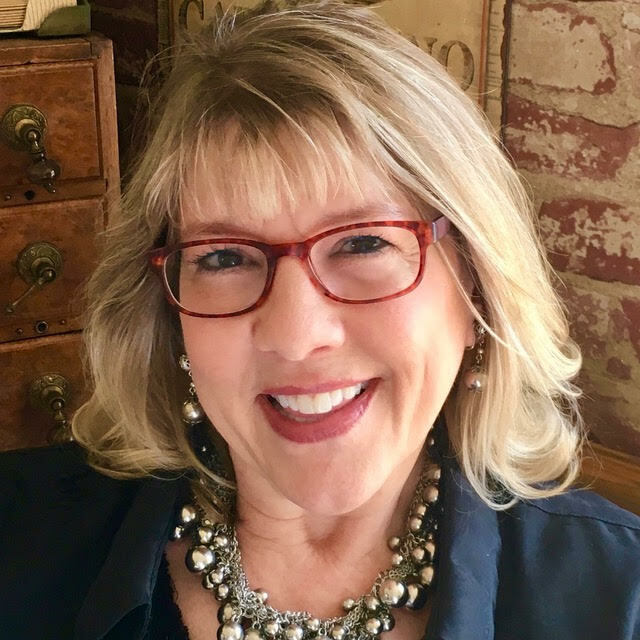 Kathy Ide is the author of Proofreading Secrets of Best-Selling Authors and the editor/compiler of the Fiction Lover’s Devotional series. 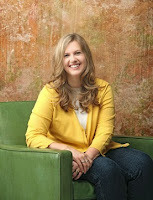 She’s a full-time freelance editor and writing mentor, working with Christian authors of all genres at all levels. 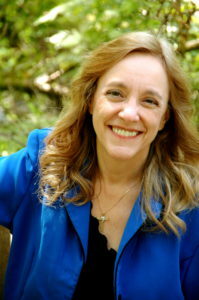 She teaches at writers’ conferences across the country and is the director of the SoCal Christian Writers’ Conference and the Mount Hermon Christian Writers Conference. 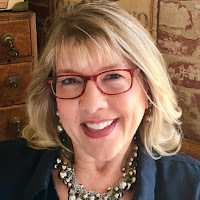 She’s a co-owner of the Christian Editor Network LLC and founder of the four divisions that comprise the CEN: Christian Editor Connection, The Christian PEN: Proofreaders and Editors Network, PENCON, and The PEN Institute. Enter below. Be sure to comment on this post before you enter to claim 9 extra entries! 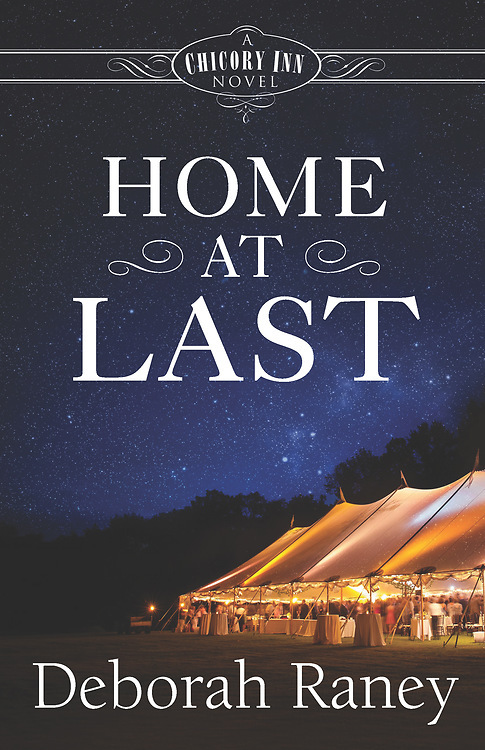 Deborah Raney brings the Chicory Inn series to a close with the compelling story of Link and Shayla in Home at Last. Deborah is a consummate author and I have greatly enjoyed each of the five books in this series. Each story involves one of the Whitman children and, while Home at Last can stand alone, I recommend reading the series in order. 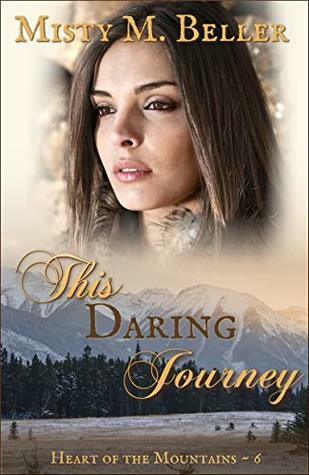 The story is well written, capturing my attention from the first page, and I have particularly enjoyed how, throughout the series, Deborah deals with difficult life issues in a gentle manner that speaks volumes – such as infidelity, infertility, and dementia. 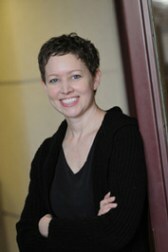 And now, in Home at Last, she writes from the heart in exploring racism and biracial marriage. There is much to love and admire in the two main characters – Link’s good-heartedness and sense of innocence, and Shayla’s determination to do the right thing by her family, no matter how difficult. 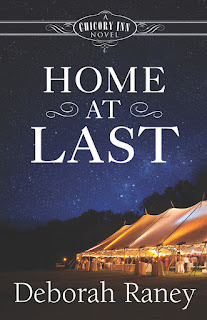 Home at Last has a different feel from the previous four books, in that the subject matter is darker and seemed to overshadow character development. I didn’t get to know Link and Shayla as well as I would have liked, and never got a feel for how their caring for each other developed. However, the story’s strength is its cultural relevance and spiritual impact of unity in Christ, which makes it a very compelling read. This eye-opening, insightful story gave me a new awareness and much upon which to reflect, and it will stay with readers long after the last page is turned. there male and female, for you are all one in Christ Jesus. The Whitman family – Grant, Audrey, and their extended family – have become friends as they worked through problems and shared in God’s grace. I appreciated the realism of the series and that nothing was sugar-coated when it comes to the difficulties Link and Shayla will face. I thoroughly enjoyed Carolyn Miller’s debut novel, The Elusive Miss Ellison. 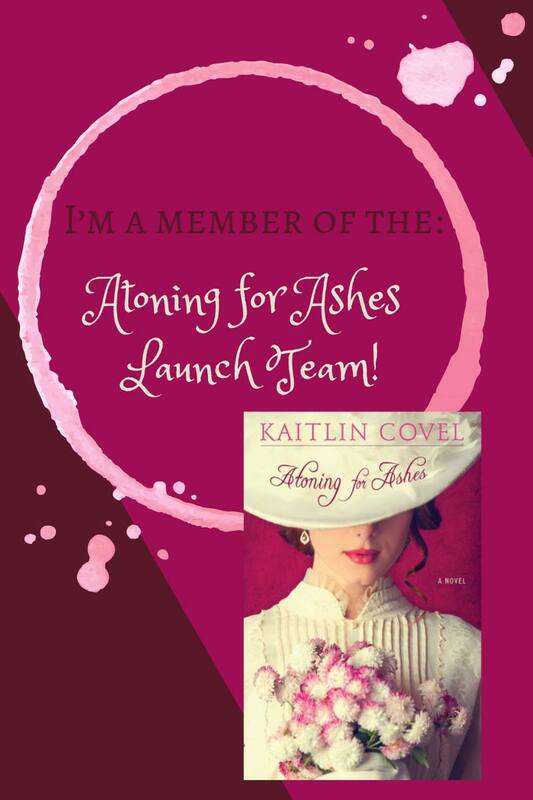 The Regency romance is one of my favorite genres – and while many reviewers allude to Jane Austen, my love for this genre is entirely due to the prolific writing of Georgette Heyer. 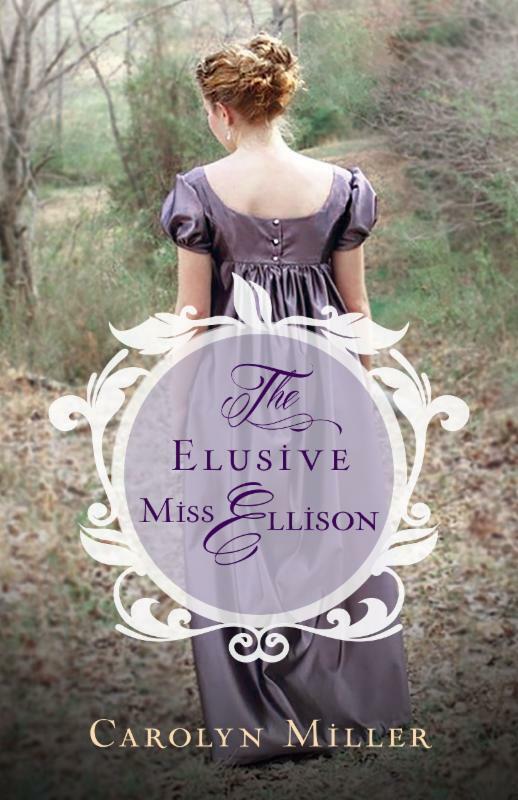 The Elusive Miss Ellison is well written with a vivid sense of place and period authenticity, and blends Heyer’s witty dialogue with a strong foundation of faith. Her words struck his heart like hammer on anvil, forbidding speech. How could she know the driftless state of his heart? Beneath all the witty repartee, manners and social status is a story of humility, forgiveness, and the vastness of God’s grace. Nicholas and Lavinia are well-drawn, with a complexity beneath the surface. Nicholas had a war background that showed remarkable character, courage, leadership, and compassion, yet those qualities were missing in the new Earl of Hawkesbury. Lavinia had a deep faith and concern for the poor, yet she struggled with a pride and unforgiveness that “until it is destroyed, we cannot see clearly” (Nicholas). Both of these characters are flawed and have a spiritual journey to make. There’s plenty of romantic tension and I especially liked that they had a lot of screen time together. The Elusive Miss Ellison is exactly what a Regency should be and I eagerly anticipate book #2, The Captivating Lady Charlotte, which releases in June. 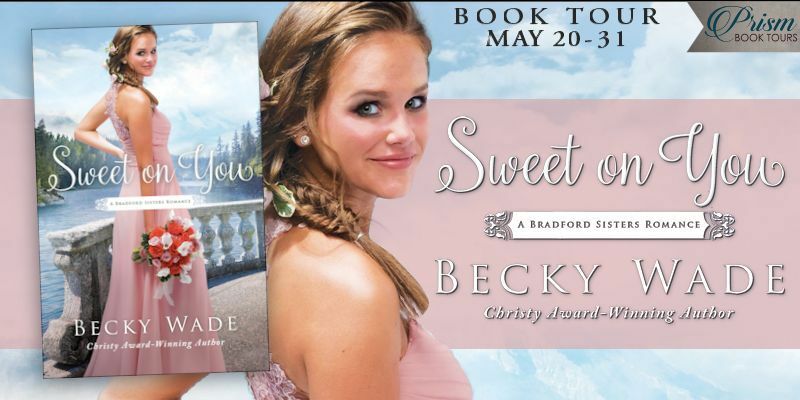 Recommended to all who enjoy Christian Regency romances. 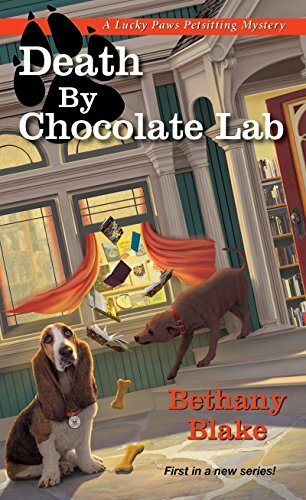 Note: I wanted to spotlight Death by Chocolate Lab because I haven’t had time to finish it yet due to personal reasons. 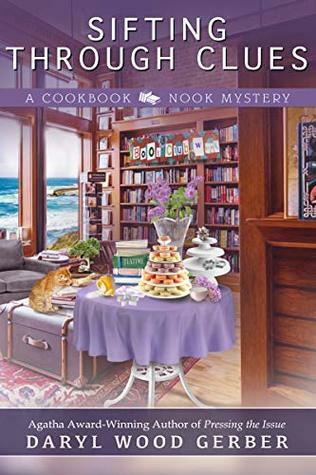 This is an enjoyable cozy mystery and I hope you’ll check back tomorrow for my review and a chance to win a print copy. 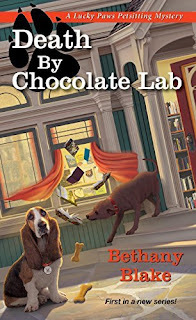 Hi, and thanks for visiting this stop on the blog tour for my new cozy mystery, Death by Chocolate Lab. 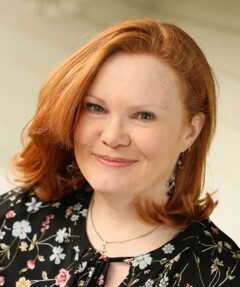 The main character, Daphne Templeton, would love A Holland Reads. Daphne’s a pet sitter with a Ph.D. in philosophy and a passport filled with stamps from all over the world. She’s a journeyer in every sense of the word. At least, Daphne thinks she’s a wanderer at heart. The problem is, she’s also a big softie who makes instant connections with people and animals. So while Daphne doesn’t plan to stay long at her sister’s bucolic farm, Winding Hill, outside the quaint town of Sylvan Creek, Pennsylvania, she quickly finds herself surrounded by souls who make it difficult for her to leave. First of all, Daphne’s reconnecting with her sensible sister, Piper. 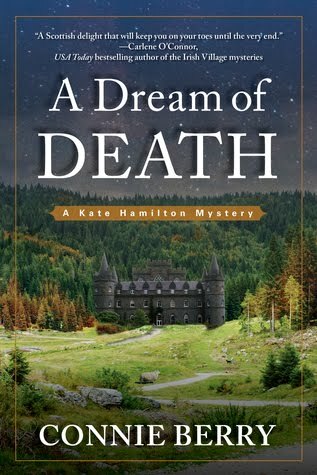 And when Piper – a veterinarian – is accused of murdering a controversial dog trainer, Daphne jumps in headfirst to solve the case and clear her sibling’s name. Daphne’s childhood best friend, quirky Moxie Bloom, also lives in Sylvan Creek. A fan of all things vintage, Moxie runs Spa and Paw, the pet-friendly town’s unique salon for people and pets. Daphne also has a canine constant companion, an introspective basset hound named Socrates, who does his best to keep Daphne out of trouble. And she’s temporarily – or at least she hopes – fostering Artie, a one-eared Chihuahua with a severe overbite and an excess of personality. Then there’s Daphne’s mother, Realtor Maeve Templeton, who thinks Daphne should forget pet sitting, get a real estate license, and trade in her ancient VW for a reliable sedan – a life plan that doesn’t interest Daphne at all. Finally, Daphne’s intrigued by a newcomer to Sylvan Creek. Handsome, enigmatic Detective Jonathan Black seems bound and determined to send Piper to jail for homicide, but he has some compelling secrets of his own. And even though Daphne knows she might ruin a budding friendship... or more... she just can’t stop herself from prying into Jonathan’s past. These are just a few of the people and pets you’ll meet in Sylvan Creek. I hope you’ll visit the town, where you’ll also find delicious food and recipes, and, of course, lots of clues to follow!